options for your Ford, Lincoln or Mercury vehicle! 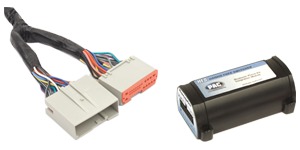 All of our systems are designed to directly connect to the factory wiring so no wiring modification or cutting is necessary. This system is compatible with many aftermarket Parrot and Motorola Bluetooth systems.